The day before Thanksgiving some of the members of my Teen Advisory Council committee (MARCOM) and I went to volunteer at the Tri-State Food Bank. 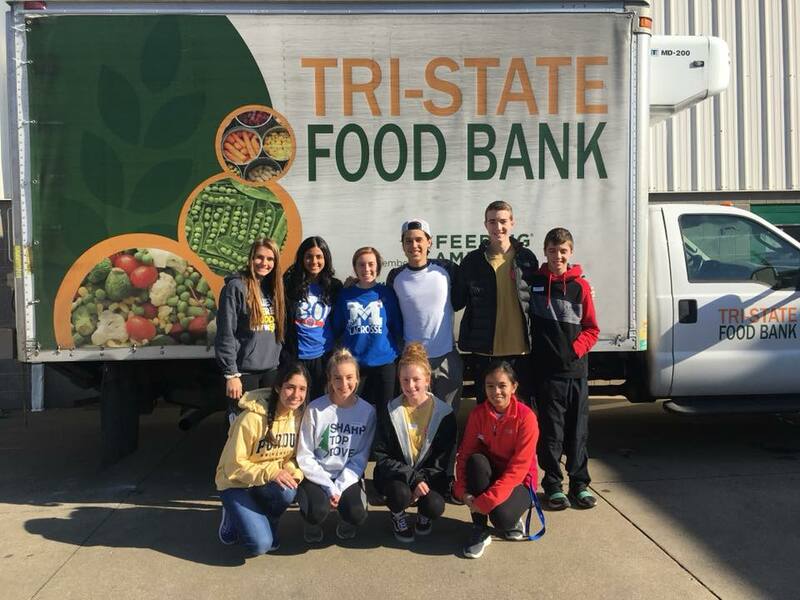 Although it sounds cliché, the food bank really opened my eyes to not only the work and effort that goes into organizations like these, but also the substantial benefits and helpful outcomes that this work will lead to! During my experience volunteering here, I was in a group of about 25 others that were helping. Before we started working, we were given a tour of the big warehouses in which everything was kept. These warehouses were filled from floor to ceiling with not only foods, but also simple-living necessities that were donated by people, restaurants, stores, etc. We also went into a walk-in freezer to see everything stored in there from cartons of milk to frozen fruits. However, there were literal icicles hanging from the walls, so we were eager to leave the freezer after a short amount of time! After this, we went to another building filled with all different types of foods and necessities; however, in here, the items were not organized or neatly separated in categories like those in the building before. So this is where we were able to help. Our group split up into smaller groups of about five people, and we were each given a different task to complete in this building. My group separated different kinds of donated candies, put them in boxes, and stacked the boxes. This turned out to be pretty fun because I was able to talk to the other people helping with the candy while working. Doing this job also felt really satisfying to me because my group quickly got into a routine, and we were able to organize a good amount of the miscellaneous candy that was there. While we were organizing the candy, another group was filling up bags with different types of specific foods. These bags end up going to kids who don’t have food to eat at home so they can have meals for the weekend. And this is just one of the many ways that the Tri-State Food Bank gives back. 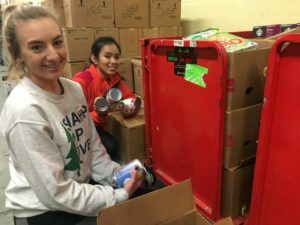 Overall, I really liked volunteering at the food bank, not only because it was really fun and informative, but also because it is neat that the work you are doing is really needed and beneficial. The Tri-State Food Bank does a lot for people that can’t afford basic things like food, but always needs more help. 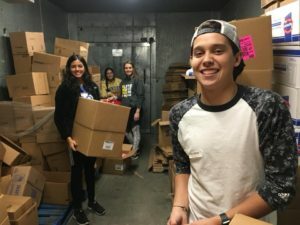 There are 46 million people struggling with hunger in America, so by volunteering at the food bank, you can contribute to an important cause that is so much bigger than one person or place. Vivian is a junior at Signature School and a co-chair of the Teen Advisory Council’s MARCOM (Marketing/Communications) Committee. She is also part of YR’s Vanderburgh County Teen Court and TEENPOWER programs. Vivian has been involved with YR for five years.